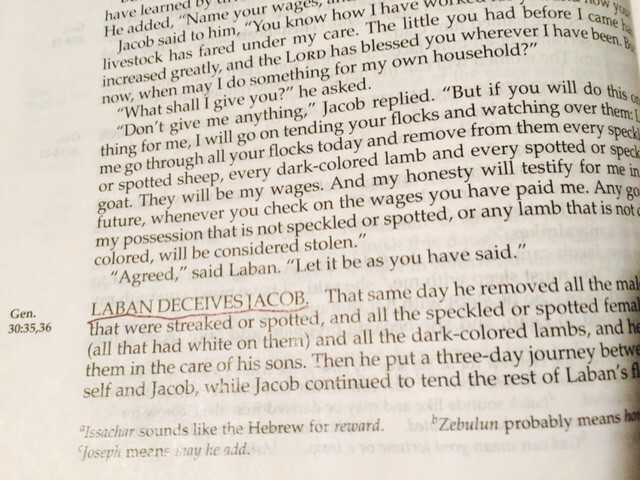 Rebekah coached Jacob on how to deceive his father, Isaac. 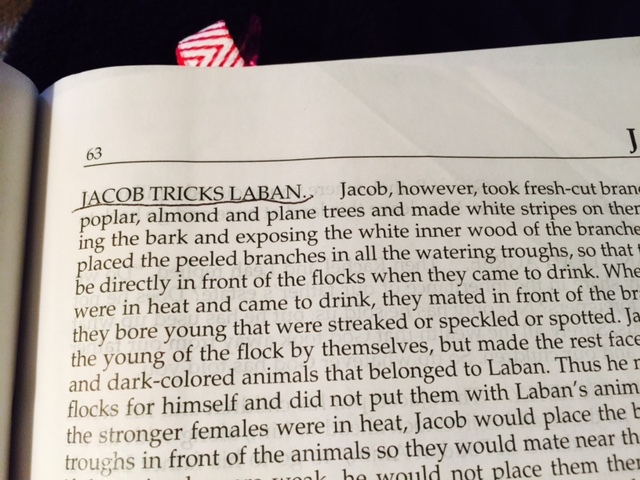 Later in Genesis, Laban deceives Jacob. And then Rachel, Jacob’s wife, steals from her father, Laban. This is what Rebekah taught Jacob and what Laban taught Rachel. When adults do these things, for whatever reason, children are watching…. It’s not a legacy to be proud of. Rebekah taught Jacob how to deceive his father to get what she wanted. Laban taught Rachel that stealing was the way to get what she wanted because he tricked Jacob and stole from him to get what he wanted. I’m sure both Rebekah and Laban rationalized all of this in their minds. We tend to do that when we’re planning to sin. The end justifies the means. It would be so unfair the other way – we’re just evening the playing field. And I’m sure they both complained about what their deception actually gave them. Both of them were separated from their children and their grandchildren as a result of these actions. We can see this legacy of deception show up over and over in Isaac and Rachel’s lives. And we can learn from it. We definitely don’t want this in our lives, right? We want a legacy of honesty and truth and love in our family. With our friends. So, today, we confess any of our behavior that has not been honest and true and done in love. We commit to set that standard in our lives so that we can teach and role-model it with our family and friends. Today is the start of a new legacy. Please help us, dear Father.